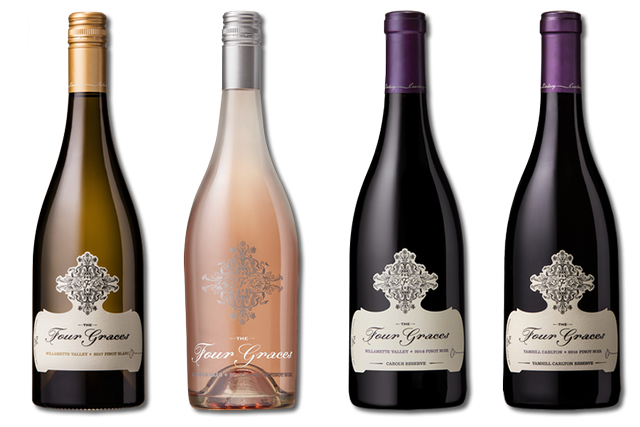 Specially selected Four Graces wines delivered right to your door. The Four Graces offers wines that are estate crafted and defined by the terroir of the Dundee Hills and Yamhill-Carlton AVA. 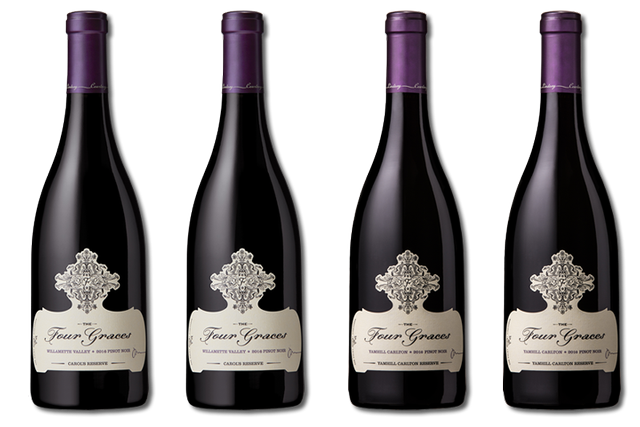 Highly acclaimed, The Four Graces is committed to making rich, complex wines where the fruit may be elegantly expressed. The wines are hand-crafted in small lots using traditional techniques coupled with the most modern technologies in winemaking. Have questions? Contact us by phone at 800-245-2950 or email us at wineclub@thefourgraces.com. The Four Graces Vintage club is for those who like to mix it up. It includes a mix of red and white varietals. Shipments will include between two and four bottles to be delivered in October, December, March and May. The average cost of a shipment is $175 plus shipping and handling which represents a 20% discount. A pickup at the winery option is available. The Four Graces Vintage Red club is for those who prefer only red wine selections. Shipments include between two and four bottles to be delivered in October, December, March and May. The average cost of a shipment is $180 plus shipping and handling. The club-shipment pricing represents a 20% discount. A pickup at the winery option is available to save shipping costs.